After the Collection Exclusive Nudes and Pure Reds, L’Oréal has released a new limited edition called La Vie en Rose. It is another collection of lipsticks and nail polishes associated with famous women of different skin and hair colors, meaning that there is a perfect pink shade for everyone out there. 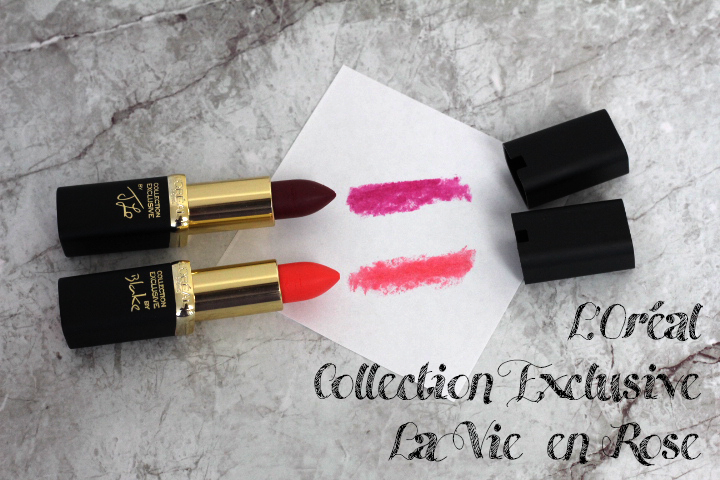 As I have loved and keep using many of the previous Exclusive lipsticks (you can find reviews and looks here, here and here), I was very excited to try the new line. To add to this, purchase of these lipsticks in The Netherlands in the month of October will support the Free a Girl organization, which fights to free young girls all over the world from forced prostitution and helping them towards a better life of their own choice. A great cause to promote in this pink October. But let’s take a look at the collection. There are 8 total shades but only four have been released in The Netherlands and I picked up two of them: Blake’s and J.Lo’s Soft Rose. Blake’s Soft pink is a bright coral that stole my heart in the bullet but then fell short in application. There is no sign of the pigmented matte formula that characterized the Pure Red collection and that I loved so much. 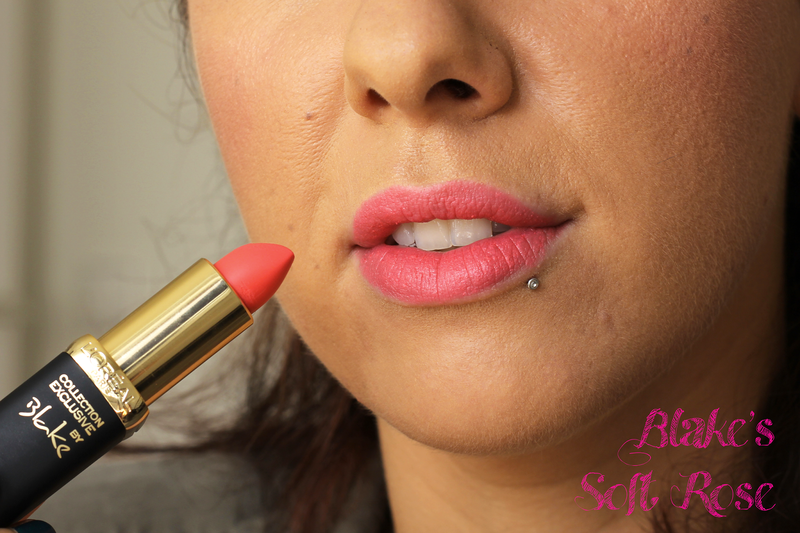 This lipstick goes on quite sheer and becomes streaky when I tried to build it up. Such a shame of this gorgeous color. 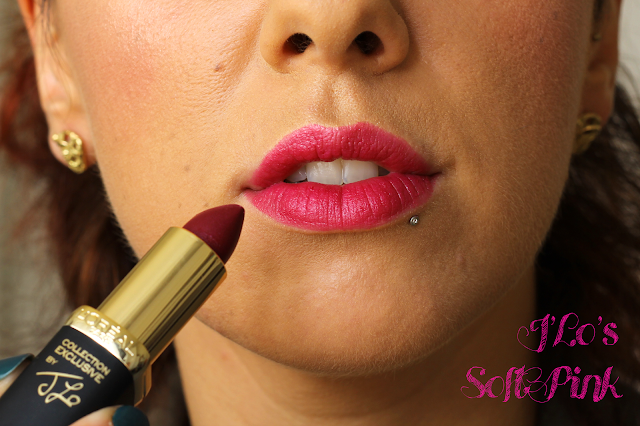 J.Lo’s pink has definitely a better formula and the color is a beautiful deep berry. To be honest I was hoping in a darker color just from looking at the tube, but I like this tone as well and it definitely something that wasn’t in my collection. The other two available colors were Doutzend’s Soft Rose, a bright barbie pink and Julianne’s, a very light pink, both not very suitable for my skin tone so I didn’t pick them up, but if you’re interested, check out Vera Camilla’s swatches here. The overall impression of the lipsticks is that they are quite sheer and creamy, with a satin finish and are very comfortable on the lips. I am disappointed by the pigmentation because I had high expectations but I am sure I will get a lot of use from J.Lo’s pink nonetheless. October 11th is the International Day of the Girl Child and in collaboration with Free a Girl, L’Oréal has an initiative to raise awareness through the hashtag #laatjelippenspreken (let your lips speak). Post a selfie with your pink lips on Facebook, Twitter or Instagram to show your support! I know I will for sure!